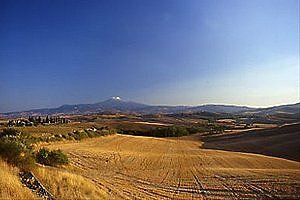 The Valdichiana is an area of wonderful sceneries, rich in Medieval villages and "pievi" (parish churches) and in nature reserves, spreading in the provinces of Siena and Arezzo. 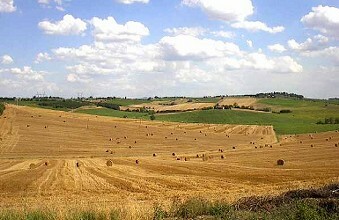 In Valdichiana, many wines with DOC status are produced, the most famous being the "Rosso di Montepulciano". If you are planning to spend your holidays in the Tuscan countryside, visit the website of our agency, specialised in renting villas in Valdichiana and in Tuscany : you will find a selection of villas with swimming pool, ancient farmhouses that have been renovated and transformed into luxury villas, ancient castles and farm holiday apartments among which to choose the accommodation that meets your requirements. Rent one of our villas with pool in Valdichiana. 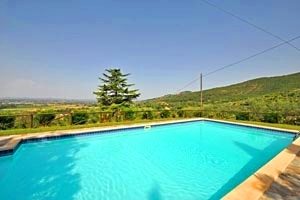 Rent a villa with pool in Valdichiana for your next holidays in Tuscany. 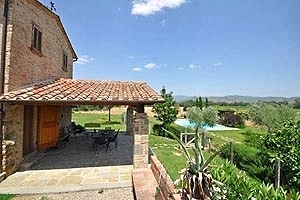 Pretty farmhouse sleeping 4+1 in the countryside south of Arezzo, in Valdichiana. Garden, swimming pool, barbecue, wood-burning oven, Internet connection. Golf club, riding stable and tennis club within a few kilometres. Villa with pool near Montepulciano (Siena), in Valdichiana. Sleeps 5, garden, air conditioning, hydromassage, Internet connection, outdoor toys for children. Spas, golf club, tennis club and riding stable within a few kilometres. 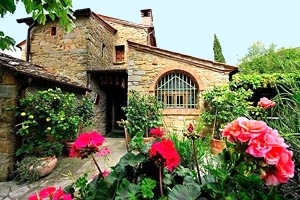 Farmhouse for holidays in Cortona, in Valdichiana, in the province of Arezzo. Sleeps, garden, swimming pool, barbecue, Internet connection. A few kilometres from the farmhouse there are a riding stable and some tennis courts. 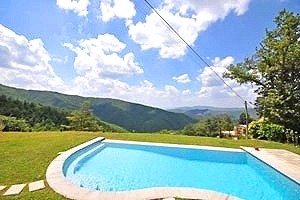 Beautiful villa sleeping 10 situated in panoramic position in Valdichiana, near Monte San Savino (Arezzo). Wide garden, swimming pool, Internet connection, air conditioning, barbecue. Riding stable and tennis club within a few kilometres. Farmhouse sleeping 8+7 in Cortona (Arezzo), in Valdichiana. Wide garden, swimming pool with whirlpool corner, organic vegetable garden, barbecue, Internet connection, children's playground. Tennis club, golf club and riding stable nearby. 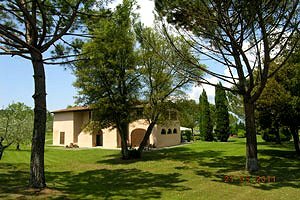 Small villa sleeping 6+2 in Valdichiana, just a few kilometres from Montepulciano (Siena) and Lake Trasimeno. Fully fenced garden, swimming pool, children`s playground, Internet connection, hydromassage. Tennis club and riding stable within a few kilometres. Ancient villa in the neighbourhood of Cortona, in the province of Arezzo, in the Valdichiana. 6+2 sleeping accommodations, swimming pool, outdoor hydromassage, air conditioning, barbecue, children's toys, Internet connection. 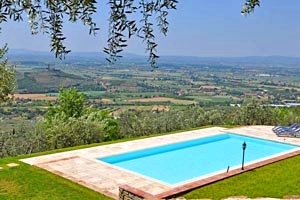 Luxury villa for vacation rental near Cortona (Arezzo) in Tuscany . Villa with 4/6/10 beds, beautiful garden, exclusive swimming pool. 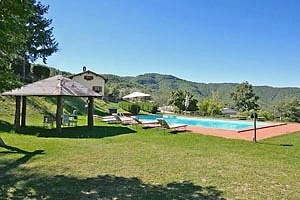 Villa for rent with private swimming pool in the Tuscan countryside near Cortona (Arezzo). Accommodation for 10/11 people, garden, Internet connection and parking. 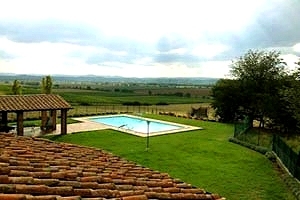 Villa in a panoramic position on a typical Florentine hill near Chianciano Terme and Montepulciano. Villa with accommodation for 8/10 people, swimming pool, air conditioning. Villa sleeping 10/12 near Arezzo, in Valdichiana. 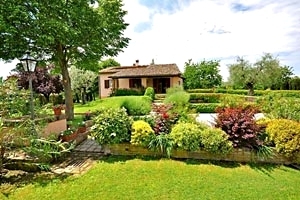 Garden, swimming pool, Internet connection, view over Arezzo. Tennis courts and riding stable nearby. 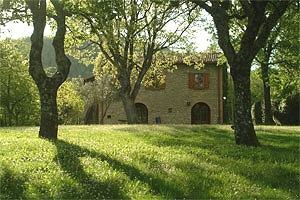 Small holiday villa sleeping 6 in Valdichiana, near Cortona (Arezzo) and the Abbey of Farneta. Garden, swimming pool, air conditioning, Internet connection. Riding stable, tennis club, and golf club within a few kilometres. Villa sleeping 7 in Valdichiana, near Cortona (Arezzo). Garden, swimming pool, Internet connection, barbecue. Magnificent panorama. Villa sleeping 8 in Pergine Valdarno (Arezzo), in Upper Valdarno. Garden, swimming pool, wood-burning oven. 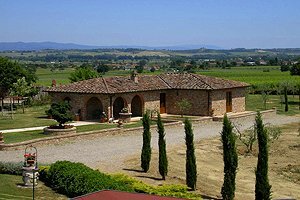 Former farmhouse sleeping 9+3 guests in panoramic position in Valdichiana, in Castiglion Fiorentino (Arezzo). Swimming pool, barbecue, wood-burning oven, children`s playground, air conditioning, Internet connection. Riding stable, tennis courts and golf club nearby. Beautiful villa sleeping 8 in Valdichiana, near Cortona (Arezzo). Swimming pool, Internet connection, table-tennis table, wood-burning oven, air conditiong. Charming villa sleeping 4 on the hills of Valdichiana, near Cortona (Arezzo). Wide garden, swimming pool, hydromassage, steam bath, Internet connection. Dinners with Tuscan dishes are organised upon request. 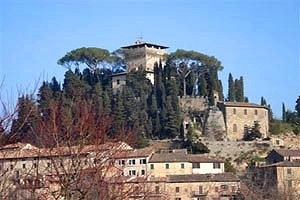 Castle sleeping 12+2 just a few kilometres from Chianciano Terme (Siena) and its thermal baths, in Valdichiana. Wide garden, park with exotic trees, two swimming pools, Internet connection. Possibility of celebrating weddings and special occasions. Tennis courts, riding stable and golf club in proximity to the estate. 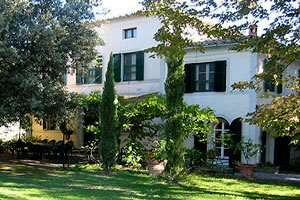 Holiday farmhouse sleeping 8+3 people in Valdichiana, close to Arezzo. Wide garden, swimming pool with whirlpool area, barbecue, wood-burning oven, air conditioning, Internet connection. Riding stable and tennis courts within a few kilometres. 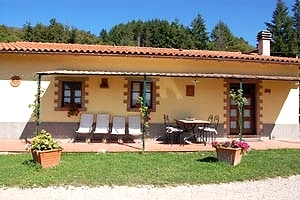 Small and cosy farmhouse sleeping 5 in Valdichiana, near Castiglion Fiorentino (Arezzo). Swimming pool, wood-burning oven, Internet connection. Tennis club, riding stable and golf club within a few kilometres. Farmhouse sleeping 5+1 in Valdichiana, near Cortona (Arezzo). Swimming pool, Internet connection, hydromassage, air conditioning. Wonderful view over the surrounding countryside. 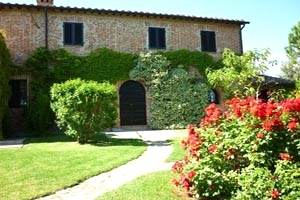 Villa for rent near Arezzo in Tuscany. Villa with accommodation for 8/12 people, garden, swimming pool, tennis courts. Villa with swimming pool for holidays in the middle of a naturalistic oasis. Swimming pool, accommodation for 9 people. 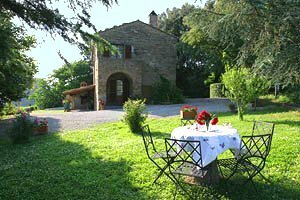 Farmhouse immersed in the tranquil Valdichiana forests, between Tuscany and Umbria. 10+2 beds. Parking, private swimming pool, panoramic position. Animals admitted. 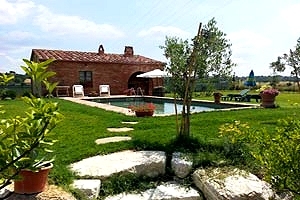 Villa with swimming pool in the countryside around Siena, in the neighbourhood of Montepulciano. 10 beds, private parking, satellite TV, air conditioning, Internet connection. 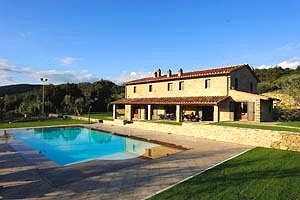 Elegant villa with swimming pool in Sinalunga (Siena), between Montepulciano and Pienza, in Valdichiana. 14 sleeping accommodations, wide garden, barbecue, bowls pitch, satellite TV, wood-burning oven. 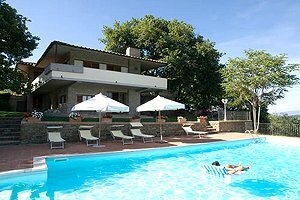 Villa with swimming pool for holidays in Valdichiana, near Cortona (Arezzo). 10/12 sleeping accommodations, hydromassage, gym, satellite TV, Internet, barbecue, table tennis. Riding stable and tennis club in the neighbourhood. 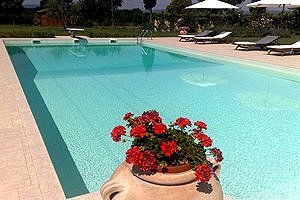 Villa with swimming pool for holidays in Valdichiana, at the border between the provinces of Arezzo and Siena, in Lucignano. 12 sleeping accommodations, air conditioning, Internet connection. Rooms accessible to disabled people. Typical Tuscan cottage close to Monte San Savino, in the province of Arezzo, in the Valdichiana region. 6/8 sleeping accommodations, swimming pool, barbecue, hydromassage. Wonderful panoramic view. Villa sleeping 9 in Valdichiana, near Monte San Savino (Arezzo). Fully fenced garden, swimming pool, panoramic terrace, Internet connection. Tuscan cooking lessons and dinners at the villa are organised upon request. 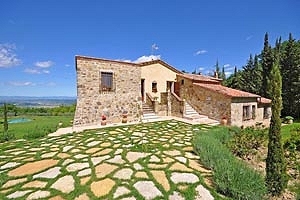 Nice holiday villa in Valdichiana, close to Cortona (Arezzo). 7 sleeping accommodations, swimming pool, barbecue. Villa sleeping 14 in the countryside around Montepulciano (Siena), in Valdichiana. Wide garden, swimming pool, barbecue. 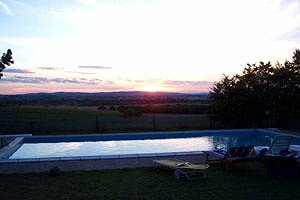 Thermal baths, tennis club and riding stable within a few kilometres. 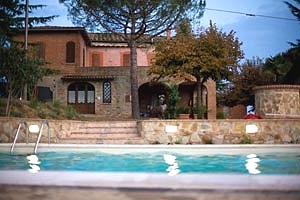 Villa with swimming pool close to Chianciano Terme (Siena), in Valdichiana. Sleeps 10, wide garden, Internet connection, wonderful panorama. Just a few kilometres from the thermal baths of Chianciano Terme and San Casciano dei Bagni. Small villa sleeping 7 in the province of Arezzo, near Cortona, in Valdichiana. Garden, swimming pool, Internet connection. 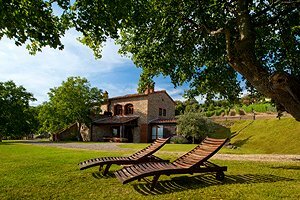 Villa sleeping 6+1 a few kilometres from Montepulciano (Siena). Garden, swimming pool, solarium area, masonry barbecue, Internet connection. 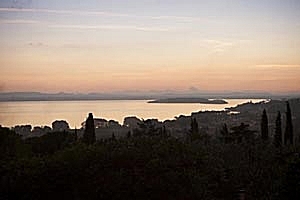 Possibility of sailing, windsurfing and fishing in nearby Lake Trasimeno. Nineteenth-century farmhouse sleeping 9 near Foiano della Chiana (Arezzo), in Valdichiana. Swimming pool, children`s playground, air conditioning, Internet connection, beautiful panoramic view. 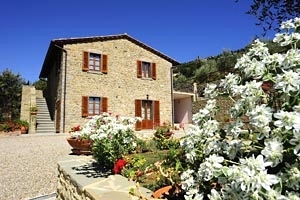 Small holiday villa sleeping 7 in Valdichiana, a few kilometres from Cortona (Arezzo). Swimming pool, children's playground, table-tennis table, Internet connection. 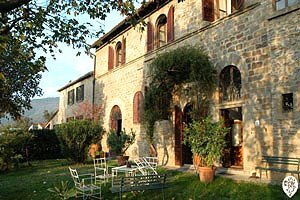 Beautiful stone villa sleeping 10 for holidays in Valdichiana, near Monte San Savino (Arezzo). Wide garden, swimming pool, wood-burning oven, barbecue, Internet connection. Tuscan cooking lessons are organised upon request. 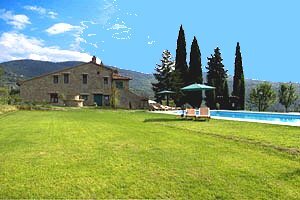 Elegant luxury villa with wide garden and swimming pool near Cortona, in Valdichiana, south of Arezzo. 12 beds, barbecue, satellite TV, Internet connection. 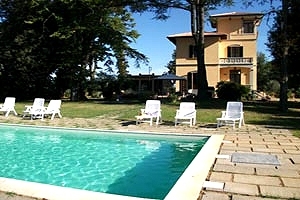 Wonderful luxury villa close to Arezzo, for holidays in Valdichiana. 10 sleeping accommodations, swimming pool, satellite TV, Internet connection, air conditioning. Animals admitted. Elegant villa sleeping 18+6 near Castiglion Fiorentino (Arezzo), in Valdichiana. Wide park, two swimming pools, sauna, hydromassage, barbecue, air conditioning, Internet connection. Golf club, riding stable and tennis club within a few kilometres. 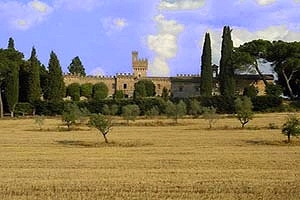 Luxurious villa sleeping 14 in Valdichiana, in Siena countryside. Swimming pool, wide park, air conditioning, Internet connection, sauna. Wonderful view. Thermal baths and tennis club nearby. 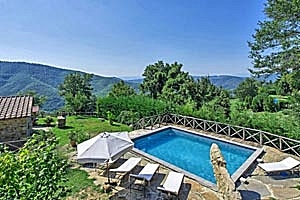 Luxurious villa sleeping 14+5 just a few kilometres from Cortona (Arezzo), in Valdichiana. Wide garden, swimming pool, barbecue, steam room, hydromassage, air conditioning, Internet connection. Riding stable and tennis club nearby. 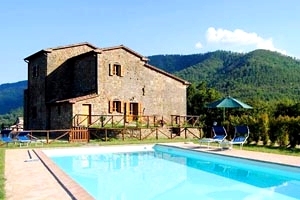 Holiday farmhouse in Valdichiana, near Cortona, in the province of Arezzo. 8/10 sleeping accommodations, swimming pool with hydromassage, garden, air conditioning. Wonderful panorama. Ancient farmhouse close to Cortona, in the province of Arezzo, in the Valdichiana region. 10/14 sleeping accommodations, swimming pool, air conditioning, hydromassage. Ancient farmhouse sleeping 8 for rent near Cortona (Arezzo), in Valdichiana. Wide garden with swimming pool and solarium area, hydromassage, air conditioning. Wonderful views. Farmhouse sleeping 12+6 in Valdichiana, near Lucignano (Arezzo). Swimming pool, wide park, children`s toys, Internet connection, air conditioning, wood-burning oven. Tennis club, riding stable, golf club and thermal baths within a few kilometres. Farmhouse sleeping 10 with wonderful views over the Valdichiana situated between Castiglion Fiorentino and Cortona, in the province of Arezzo. Swimming pool, barbecue, Internet connection.